In the history of India, there are many powerful kings have ruled the empire. Emperor Ashoka is the best among the world's greatest emperors. We seen in him so much cruelty, violent in the first life, in the last life, the coexistence of the same or more of the greatness was seen in him. He is famous in his greatness. This great man is an iconic symbol of Indian religion and culture. He was the 3rd Emperor of the ancient Maurya dynasty of India. 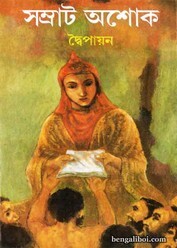 To know more about Emperor Ashoka, read this historical novel as pdf. The pdf has 312 pages, 10mb size.